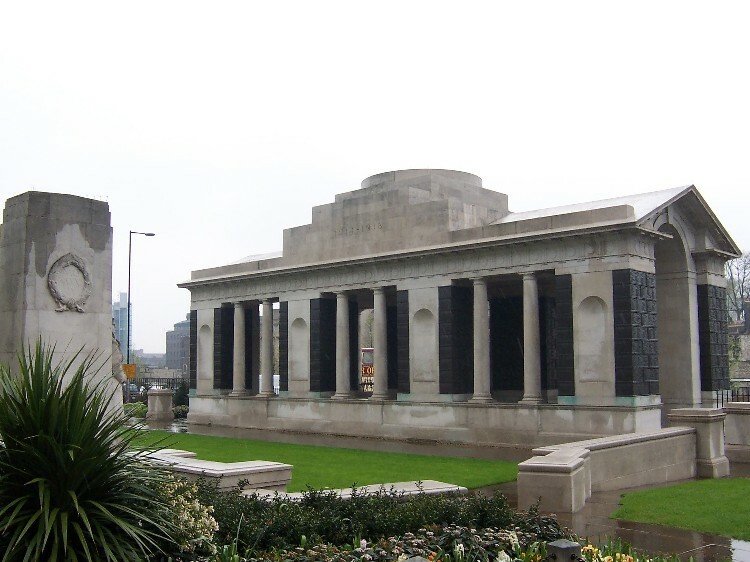 The Tower Hill Memorial commemorates men and women of the Merchant Navy and Fishing Fleets who died in both World Wars and who have no known grave. 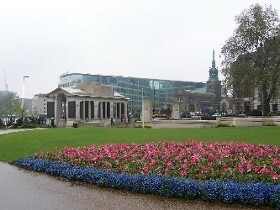 It stands on the south side of the garden of Trinity Square, London, close to The Tower of London. The First World War section of the Tower Hill Memorial commemorates almost 12, 000 Mercantile Marine casualties who have no grave but the sea. All casualties are listed under the name of the ship on which they were serving at the time of their deaths. 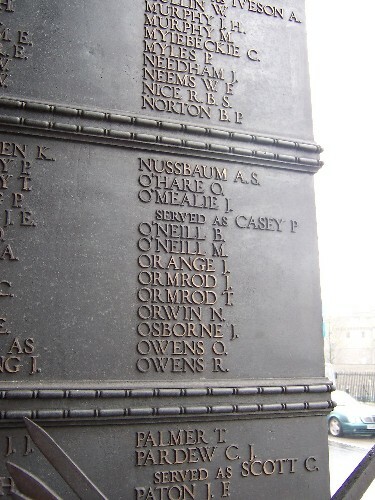 James Ormrod and Thomas Ormrod, brothers who died when the Lusitania was sunk by a German submarine on 7 May 1915, are remembered on the Memorial. 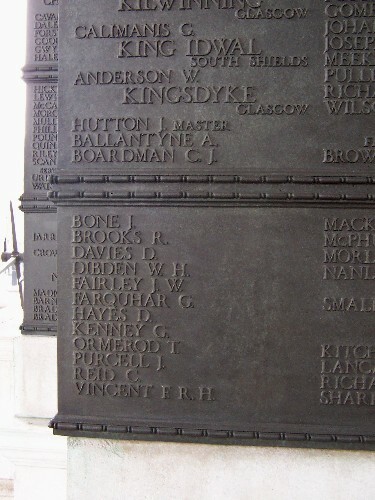 Tom Ormerod, who died in 1918 whilst serving on the S.S. Kingsdyke, is also remembered on the Memorial, even though he was a Royal Naval rating and not technically a member of the Mercantile Marine. The Commonwealth War Graves Commission Debt of Honour Register does not record the fact that Tom is commemorated on the Tower Hill Memorial.